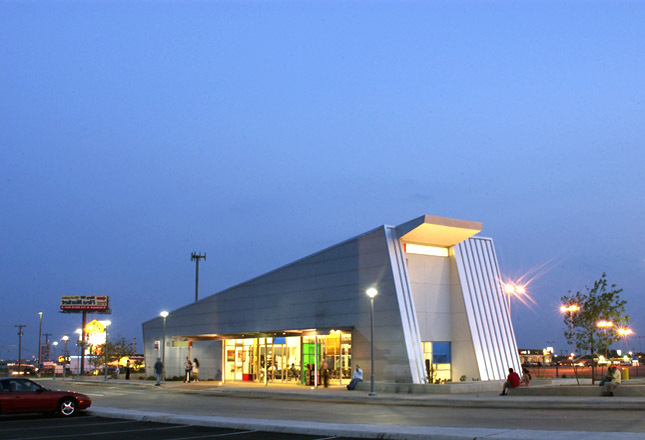 VIA Kel-Lac Transit Station | Robey Architecture, Inc. The 3000 sq. ft. 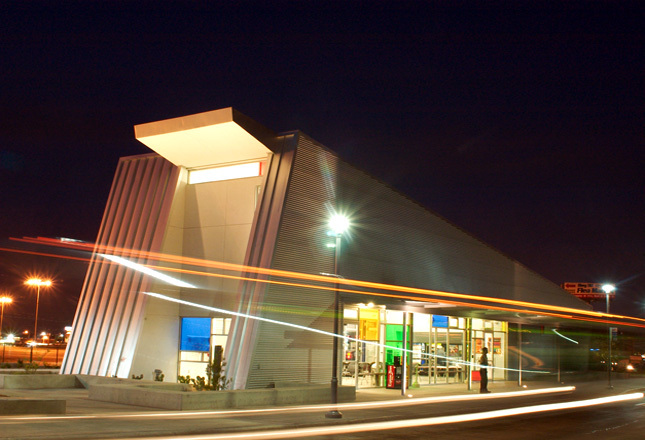 VIA Transit Center serves as a pedestrian friendly transit hub. 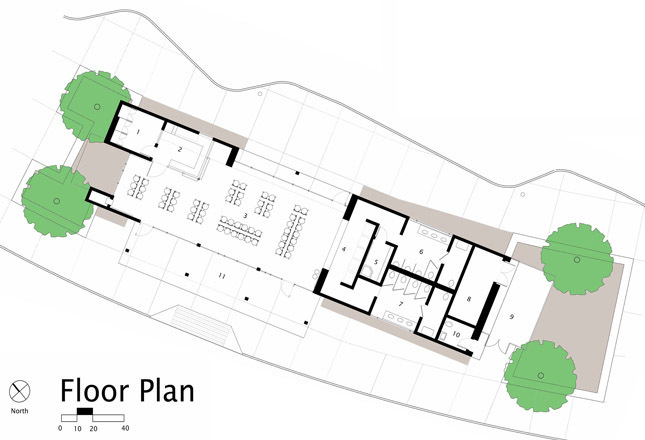 The facility provides queuing areas for sixteen VIA buses and provides air-conditioned amenities including a sixty-seat waiting area, ticket office and handicap accessible toilet facilities. 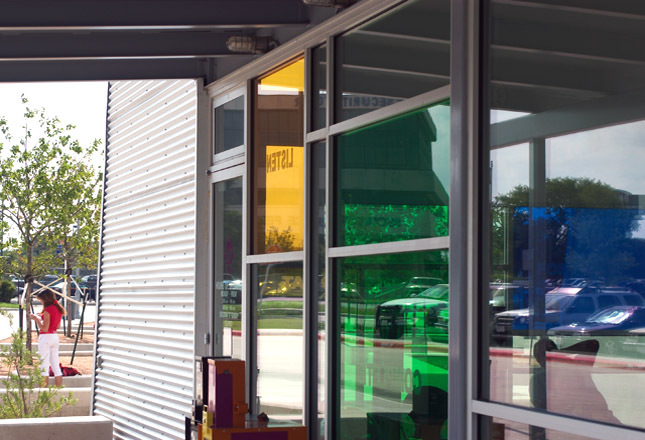 The waiting area is framed by expanses of storefront glass interspersed with colored glass panels of etched text, the project’s public art component, creating an open and interactive access. 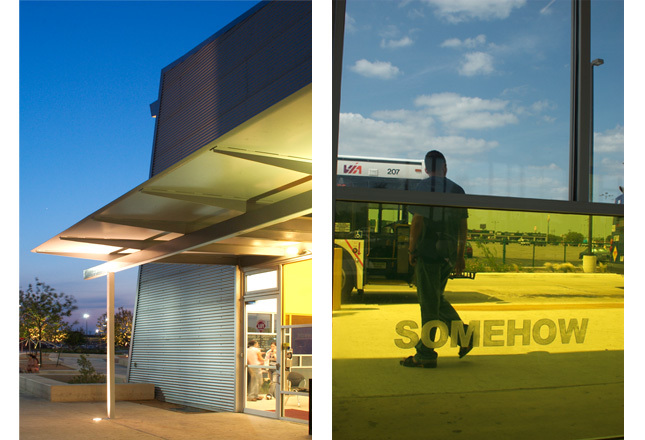 Outdoor built-in seating areas and shade trees are provided throughout a central pedestrian island that provides patrons with full access to all bus routes. 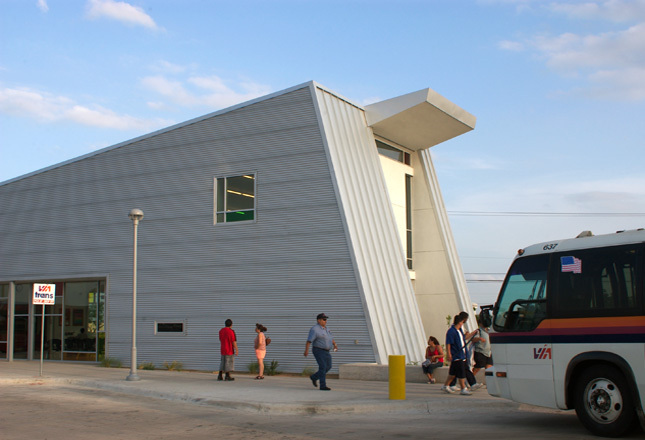 August 2004 - Texas Architect - "TSA Awards"